BURLINGTON, Mass. 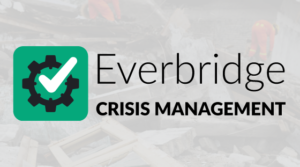 —February 11, 2019— Everbridge, Inc. (NASDAQ: EVBG), the global leader in critical event management and enterprise safety software applications to help keep people safe and businesses running, today announced the agenda and featured speakers for its Resilience 2019 Critical Event Management Summit. This second annual event is custom designed for Everbridge customers and partners. The conference, which takes place March 11 – 13 at the B Resort & Spa in Lake Buena Vista, Florida, provides customers a forum to share best practices and challenges for ensuring life safety and operational resilience, and to discuss new innovations in critical event management. Attendees at Resilience come from many of the world’s most recognized brands and multi-national organizations. Presentations will include customer keynotes from Scott Whelchel, Chief Security Officer & Global Director Emergency Services & Security, The Dow Chemical Company, and William Wilkins, Executive Director, Global Security Operations, Valero Energy Corporation. These presentations will focus on optimizing security and continuity programs by aligning teams and processes, breaking intelligence siloes, and operationalizing technology such as the Everbridge Critical Event Management Suite to ensure ROI and organizational resiliency. The event will be moderated by Everbridge’s executive team and critical event management experts. Attendees will also have the chance to connect and gain insight from key Everbridge partners and co-sponsorsincluding Alertus Technologies, Fusion Risk Management, ICI Innovations, International SOS and Johnson Controls. Conference sessions will focus on empowering attendees with the intelligence and connections needed to extend the value of their security programs, while driving a commonoperating picture of risk across business operations. Everbridge, Inc. (NASDAQ: EVBG) is a global software company that provides enterprise software applications that automate and accelerate organizations’ operational response to critical events in order to keep people safe and businesses running. 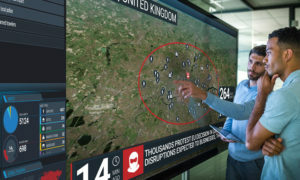 During public safety threats such as active shooter situations, terrorist attacks or severe weather conditions, as well as critical business events including IT outages, cyber-attacks or other incidents such as product recalls or supply-chain interruptions, over 4,200 global customers rely on the company’s Critical Event Management Platform to quickly and reliably aggregate and assess threat data, locate people at risk and responders able to assist, automate the execution of pre-defined communications processes through the secure delivery to over 100 different communication devices, and track progress on executing response plans. 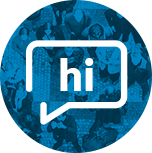 The company’s platform sent over 2.8 billion messages in 2018 and offers the ability to reach over 500 million people in more than 200 countries and territories, including the entire mobile populations on a country-wide scale in Sweden, the Netherlands, the Bahamas, Singapore, Greece, Cambodia, and a number of the largest states in India. The company’s critical communications and enterprise safety applications include Mass Notification, Incident Management, Safety Connection™, IT Alerting, Visual Command Center®, Crisis Commander®, Community Engagement™ and Secure Messaging. Everbridge serves 9 of the 10 largest U.S. cities, 9 of the 10 largest U.S.-based investment banks, all 25 of the 25 busiest North American airports, six of the 10 largest global consulting firms, six of the 10 largest global auto makers, all four of the largest global accounting firms, four of the 10 largest U.S.-based health care providers and four of the 10 largest U.S.-based health insurers. Everbridge is based in Boston and Los Angeles with additional offices in Lansing, San Francisco, Beijing, Bangalore, Kolkata, London, Munich, Oslo, Stockholm and Tilburg. For more information, visit www.everbridge.com, read the company blog, and follow on Twitter and Facebook.